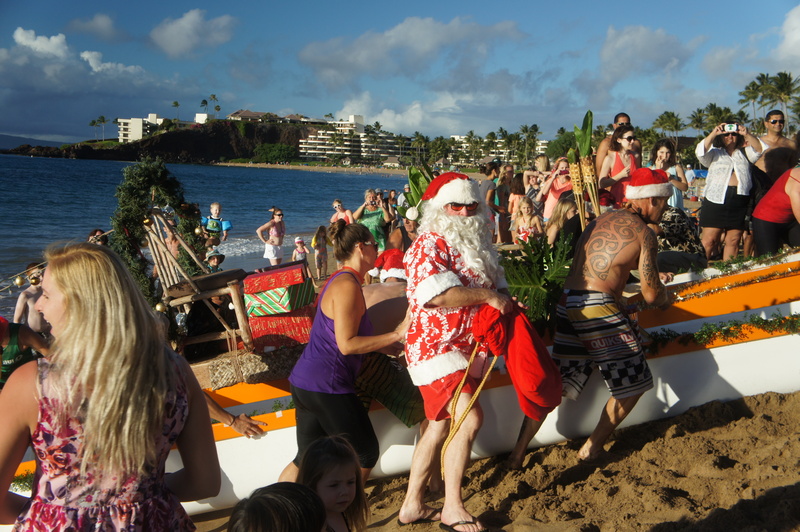 Enjoy these pics of Santa’s annual arrival, Maui-style! 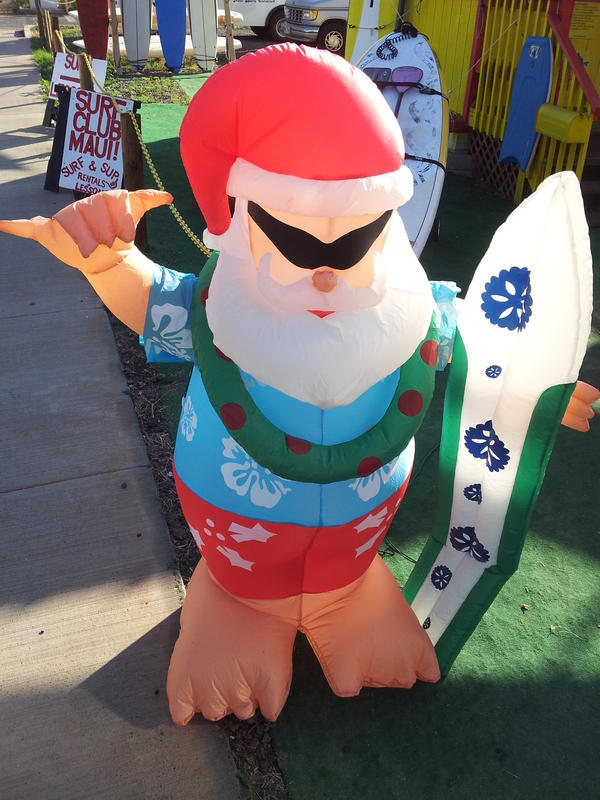 What does Santa where in the warm climes of Hawaii? 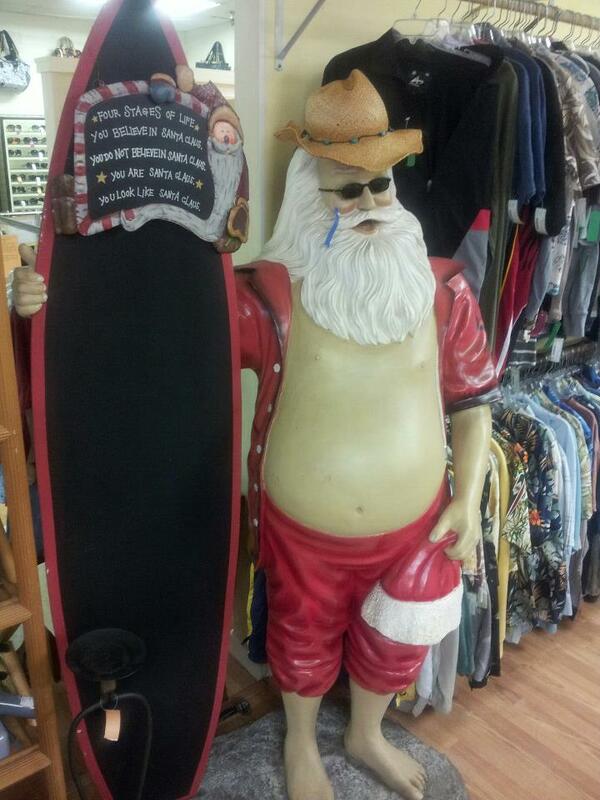 A red aloha shirt, board shorts, and flip-flops, of course. 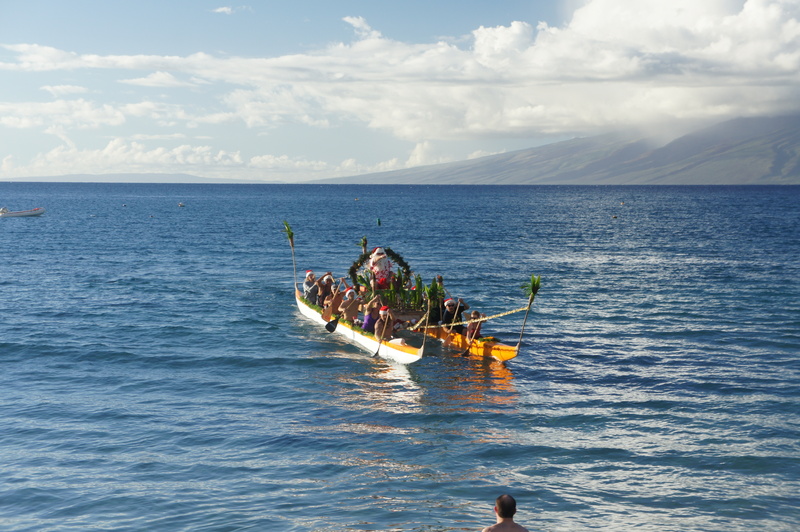 Don’t miss this great, Maui Christmas tradition when he arrives by canoe in front of the Hula Grill at Ka’anapali! 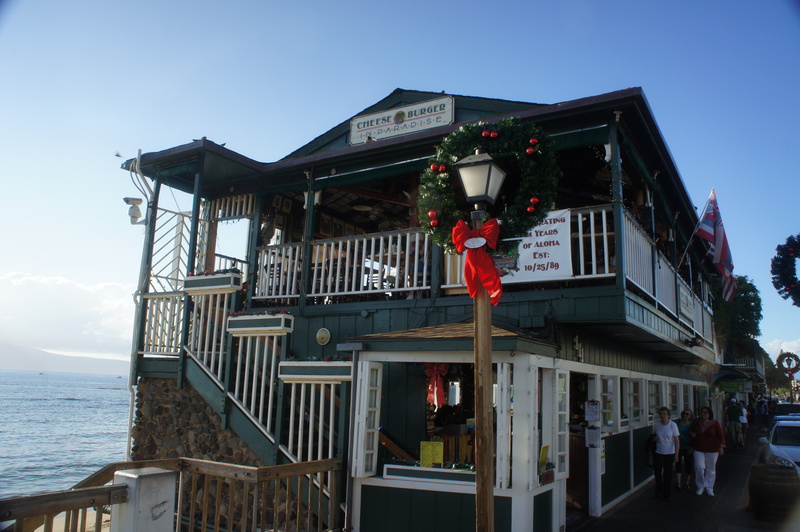 Makawao Town is just a short drive from the hot sandy beaches of Kihei, but you’ll feel like you’re in a different world, with cool fresh breezes, lush green, and pastures dotted with horses. 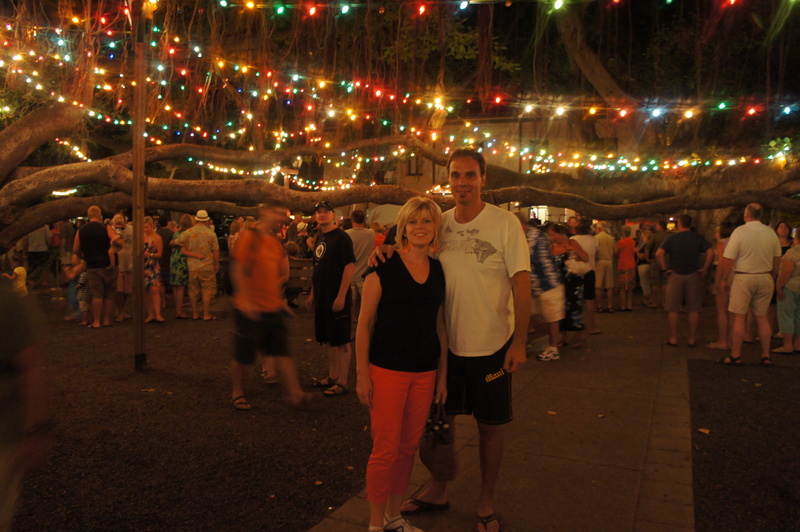 The town itself has a great “cowboy” feel, but with a definite Maui-twist. For eats you can get great steak, Italian, and of course the legendary Komoda Bakery (but only in the morning). 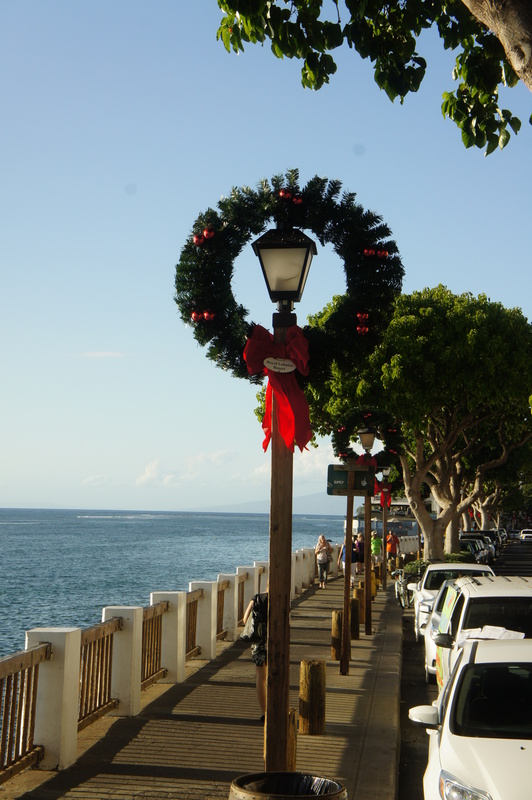 Ambling through the shops is fun as well…not as large, hectic, and hot as walking the shops on Front Street in Lahaina. Much more laid back upcountry! 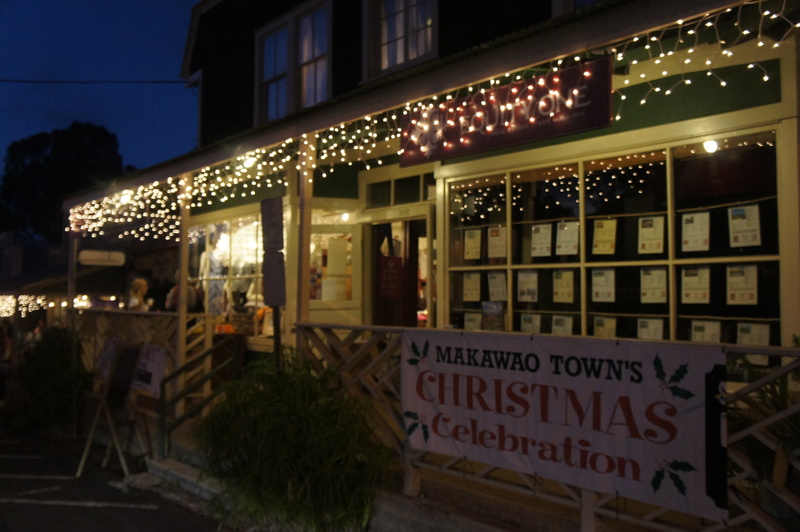 Third Friday marks the monthly Makawao Town Party, and during December it is a fun way to enjoy the town with the added bonus of Christmas cheer! 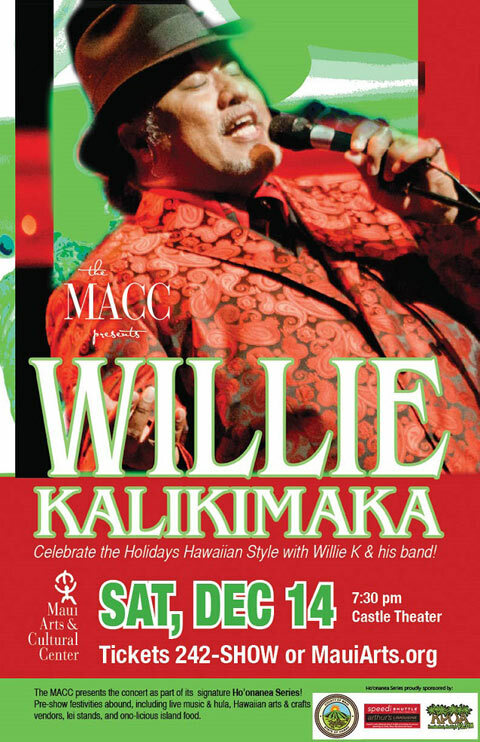 Oh, and here’s an insiders tip: I drove into Makawao on Friday December 13th, wondering where all the crowds were for the Town Party. I commented to my wife that parking was going to be a breeze. 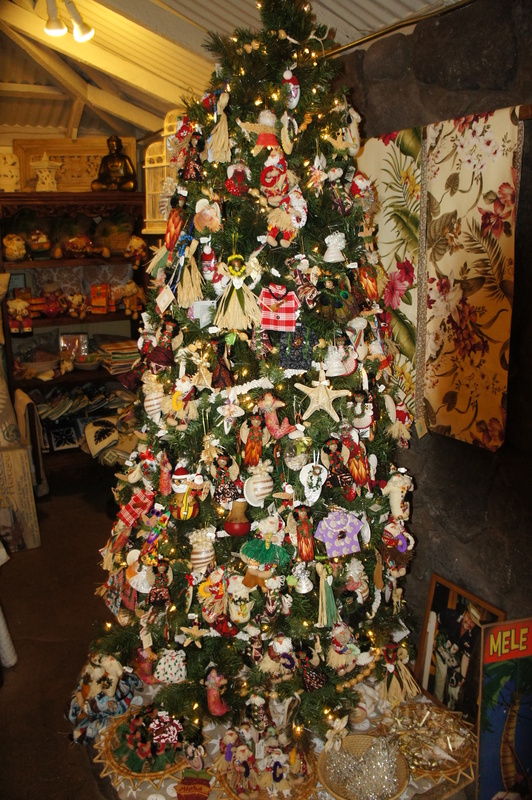 Slowly, my sunburned brain realized that December 13 and “Third Friday” don’t go together. Yes, we showed up on Second Friday for the Third Friday celebration! 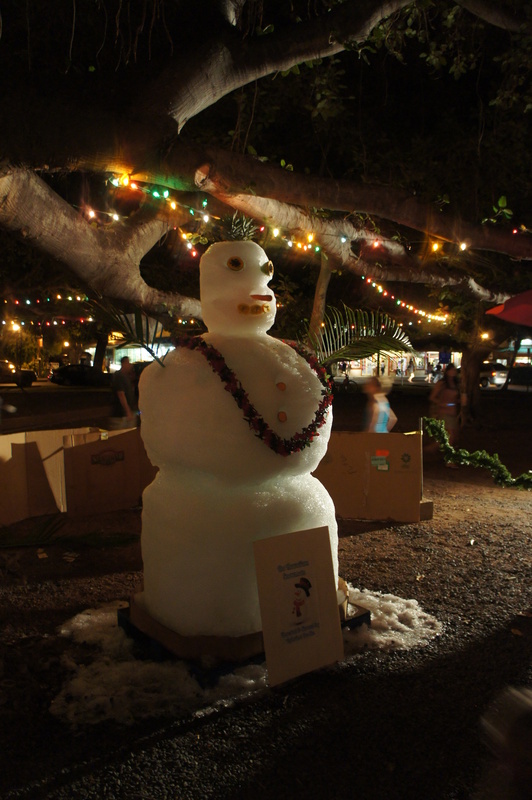 We still had a great time and had the distinct pleasure of spending TWO FRIDAYs in December at Makawao! 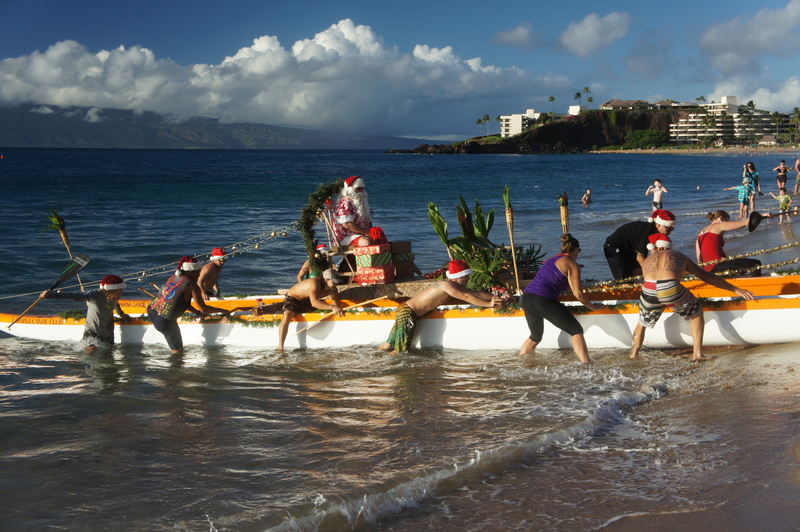 A great Maui Christmas activity regardless of when you go!